Protein Blend (Whey Protein Concentrate, Whey Protein Isolate, Micellar Casein, Hydrolyzed Bovine Collagen), Oat Flour, Sunfower Oil Creamer, Isomalto-Oligosaccharides, Sweet Potato Powder, Natural & Artfcial Flavors Flavors, Inulin (from Chicory), Gum Arabic, Medium Chain Triglyceride Oil Powder, Flaxseed Powder, Salt (Sodium Chloride), Xanthan Gum, White Chia Powder, Sucralose. I love the way this stuff tastes!! I was afraid it would be earthy and just not good. But this has a really rich vanilla flavor and I love it. I can't really tell if it satisfies me like a meal would, I'm hungry all the time. But it's great for on-the-go to stop your stomach from growling. I ordered this because I am looking for a way to help curb cravings and lose weight. I didn't think this would taste so great or mix so well. I was pretty skeptical. I wish that the fullness lasted a little longer and also that it didn't contain sucralose. 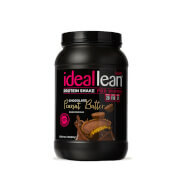 I think I might try the IdealRaw, since it doesn't have any artificial sweeteners. Overall, I am happy with the product. Best ever breakfast every day mixed with almond milk, spinach, and blueberries! This is my favorite protein. I have it for breakfast every morning mixed with unsweetened almond milk, frozen blueberries, and fresh spinach. Curbs my appetite until lunch. I love this meal replacement! It's perfect for busy days if you don't have time to blend it into a smoothie, so using soy milk in a blender bottle is amazing. It also blends super well with any fruit or veggies you mix in it. I have quite the sweet tooth too, so the sweetness and flavor is perfect. I would definitely recommend it if you love sweet things and easy, healthy meals! 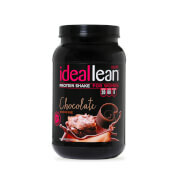 I like this shake although I have used it once to cook with and another to actually drink! Thank you!!! Love this product! High protein, good taste, but most importantly, it is NOT filled with soy, malodextrin, high fructose corn syrup, artificial sweeteners, or a list of ingredients you cant pronounce much less understand what they are, just good wholesome ingredients and low sugar, that I want to serve to my daughter as a breakfast Smoothie before school. Thanks for a great product! 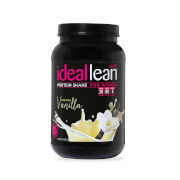 This meal replacement shake is absolute perfection! So tasty and filling! It’s my definite go to especially when I don’t have time to prepare a meal! I know I’m getting everything I need!